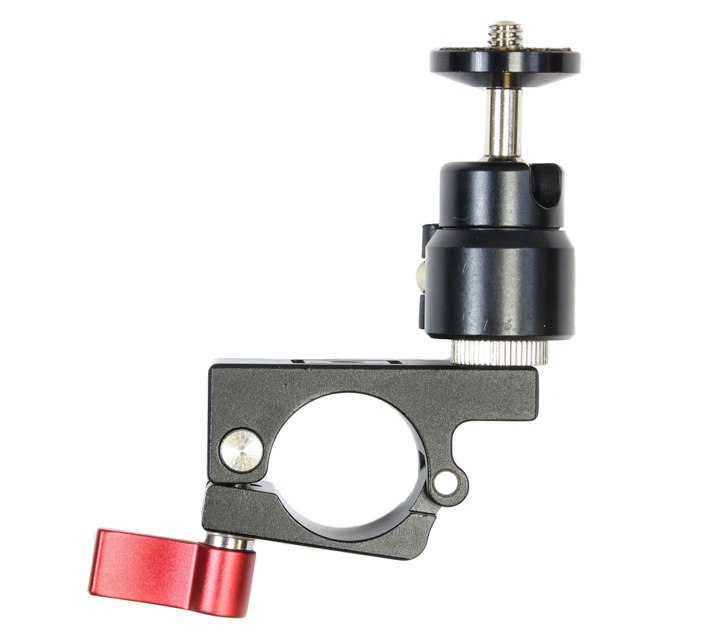 Made from a lightweight aluminum alloy, this locking ball head makes adjusting your camera / monitor to nearly any position quick and easy. Simply loosen the knob and rotate, tilt and pan your device with complete fluidity. When a 90-degree angle is desired, simply lower the platform into the notch. Extras: 25mm Rod Clamp Bracket & a 1/4"-20 Double Male Screw Adapter to couple them together. Design to fit Cameras, lightstand, tripod, monopod, etc.